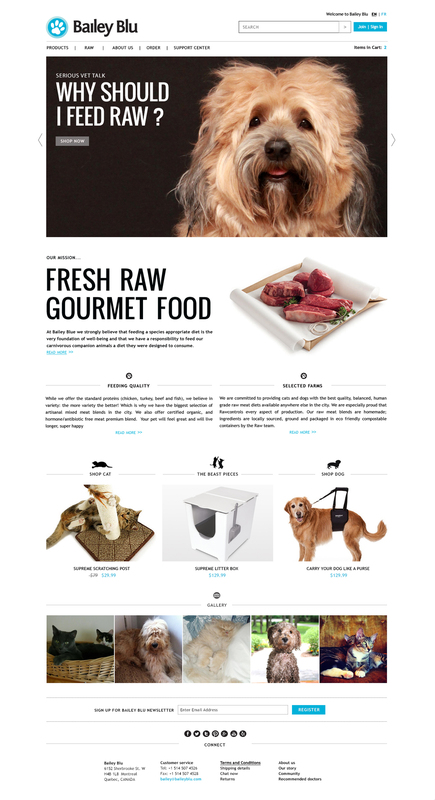 Online store for pet boutique Bailey Blu, catering raw foods & grain-free products. The store also offers a diverse range of treats, chews, toys & accessories. 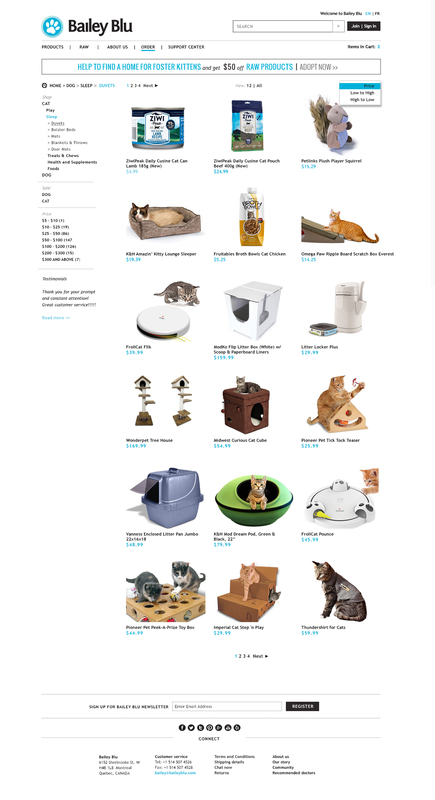 The goal for this redesign was to showcase not only products but the tools and information that are necessary for the pets’ well-being and happiness.